I have to start this article by stating that I am not a tech reviewer, nor am I even particularly tech savvy. If you are looking for the perfect, technical juxtaposition between Squarespace and Shopify this will probably disappoint. 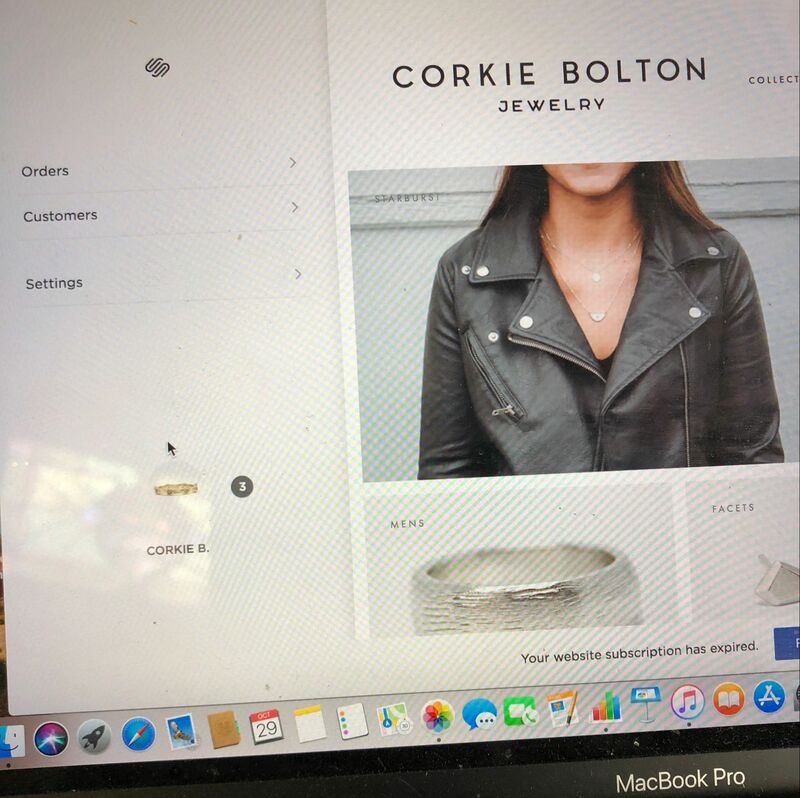 My goal is to simply explain my reasons for switching from Squarespace to Shopify for my business Corkie Bolton Jewelry. When I started Metalsmith Society and decided to launch a website I started researching Shopify. Many experienced peers in jewelry industry had told me to switch, which got my attention. 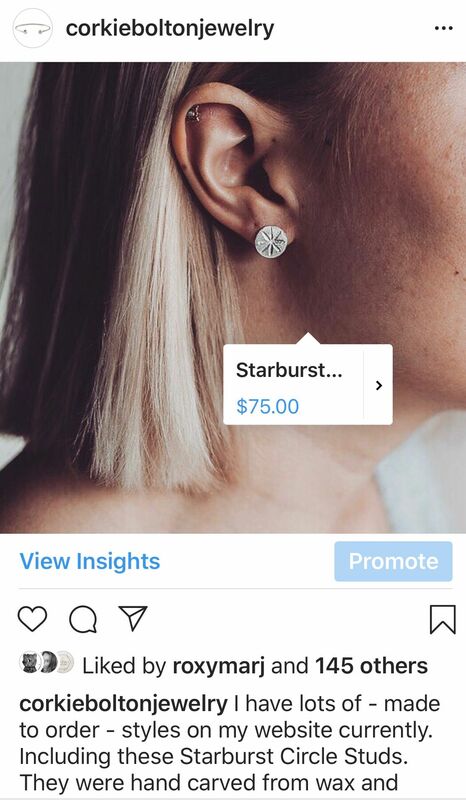 I had been using Squarespace for my jewelry for years and while I loved the look of my site it made one particular function a hassle - clicking to buy on an Instagram post. I could do it by individually uploading each item to Facebook, but honestly this was such a chore I never quite had the time. 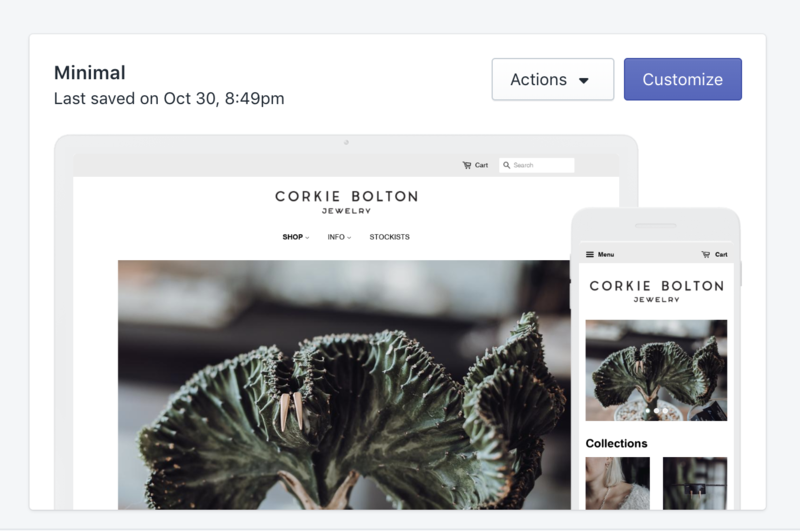 With Shopify you can just click a box to make a product available on Instagram. 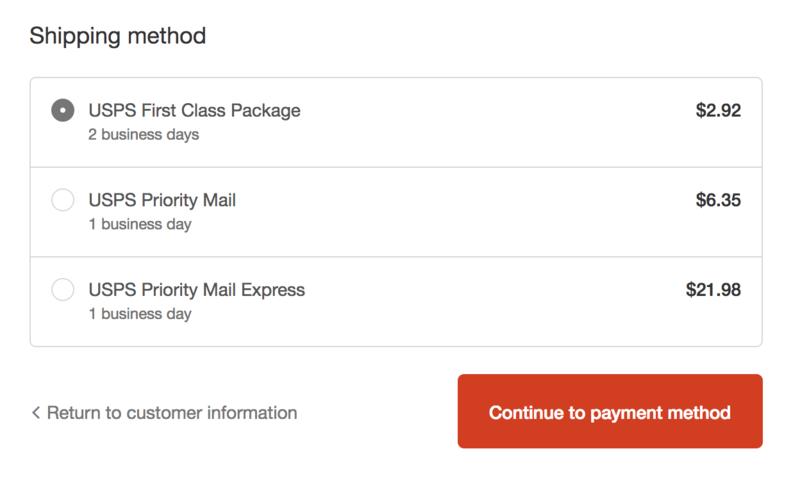 This is the main reason I love Shopify and switched over. Both websites come with themes that you can choose, this is the design of your website in which you place your images and content. Squarespace actually has more design options that are included in the price, however I think the most important aspect of a jeweler’s online shop are the product images. I chose Shopify’s “Minimal” theme and it works great for me. I am currently on Shopify’s basic plan which is $29 and it allows me to do abandoned cart recovery (through mailchimp intergrations) and calculated shipping rates. These are features (at the time of me writing this) that are only available with Squarespace’s “Advanced Plan” which is $40 a month. The calculated rates are AMAZING, they basically allow you to avoid under/overcharging on shipping. I also have International shipping options for my jewelry for the first time ever. I was always too insecure to have that option as I was afraid I would undercharge and be left with a large shipping bill. Here I've put in a domestic address and it easily allows the customer to choose from the carrier I have selected. It also allows me to offer rates to International customers, and since it uses the weight of the package I know I won't be under/over charging. I also find Shopify’s analytics more compelling. While both sites provide analytics Shopify does a lot more to help show you at a glance, which items are getting attention or what words people are searching on your site. You can then turn around and promote these items on your Instagram or through an email campaign! If you upgrade your account they show you even more analytics but I have the basic plan for both my jewelry and Metalsmith Society and I've been happy with it. How are you driving business to your site? Excellent question, I primarily use Instagram to drive traffic, I also make sure I pin all of my pieces on Pinterest to try and help drive traffic that way as well. Squarespace and Shopify are similar in that you are solely responsible for driving traffic to your site. Did you set the site up yourself, or did you hire someone? Was the process of switching over challenging? So I took advantage of Shopify's offer to help you migrate your content over from Squarespace using a third party app called Cart2Cart. This did require I speak on the phone with Shopify's customer service because I'm not very tech savvy, but with some hand holding I was able to bring over my products. Then all I had to do was mess with the design settings a little and I was good to go. I did lose my old blog at corkieboltonjewelry.com but It was a sacrifice I was willing to make and I saved that content in case I want to post it again in the future! Do you use any additional apps? Not for my jewelry but for Metalsmith Society I use (and pay for) Advanced Shipping Rules (this allows for me to have different rules for different product groups, like free shipping on stickers.) I use Blog Studio by ShopPad for the blog you are reading (also pay for that because I do find Shopify's blog very limited.) Instafeed is a fun app (free) that allows you to have your Instagram feed on your website. My conclusion, at the time of writing this article. I believe Squarespace does some extraordinary things with design, but Shopify specializes in E-commerce. Our main goal with our online shops is to make the shopping experience as easy as possible for our customers, and I think Shopify does that best. Please feel free to comment if you'd like to add your experiences, thoughts or questions to the discussion! If you decide you'd like to give Shopify a try, please use my link for a 14 day trial. Be sure to check out my online shop if you are curious about other details I may have forgotten to mention. Follow my jewelry @corkieboltonjewelry on Instagram! You can support this blog and help spread the word about Metalsmith Society by visiting the Online Shop! You can also pin this article to Pinterest or send to a friend! READ "WHAT TOOLS TO BUY TO GET STARTED MAKING JEWELRY"
Thank you for writing this! I had made a goal for 2019 to start a website. I looked at many makers that I follow and admire and noted that many of them used Shopify and so that was what I was thinking of trying out. This just seals that decision. Much appreciated! Keep up the great work. Love the site and meralsmith society!